BassesByLeo • View topic - Odd P-Bass? 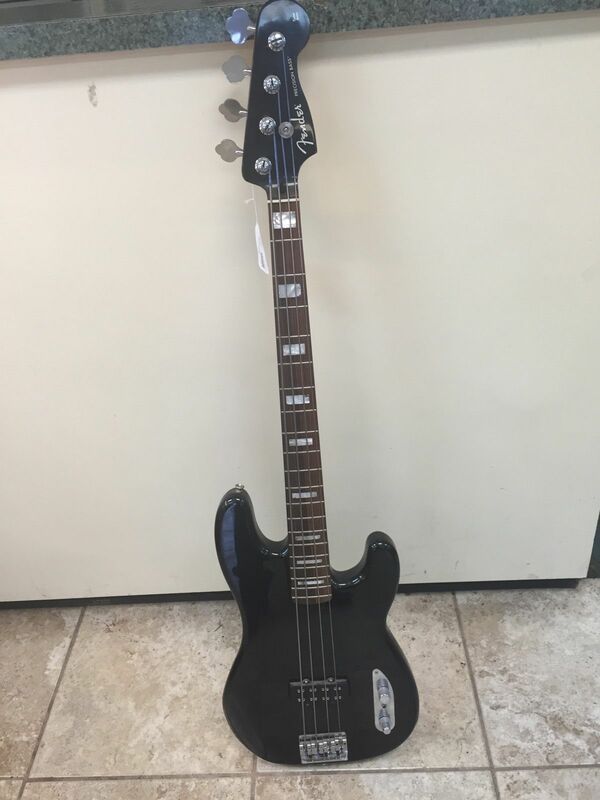 Has anyone seen a bass like this before? Frankenstein-bass or regular production? The soapbar humbucker looks like the one on the Deluxe P-Bass a few years back. The metal control panel resembles the old-fashioned P-Bass controls. 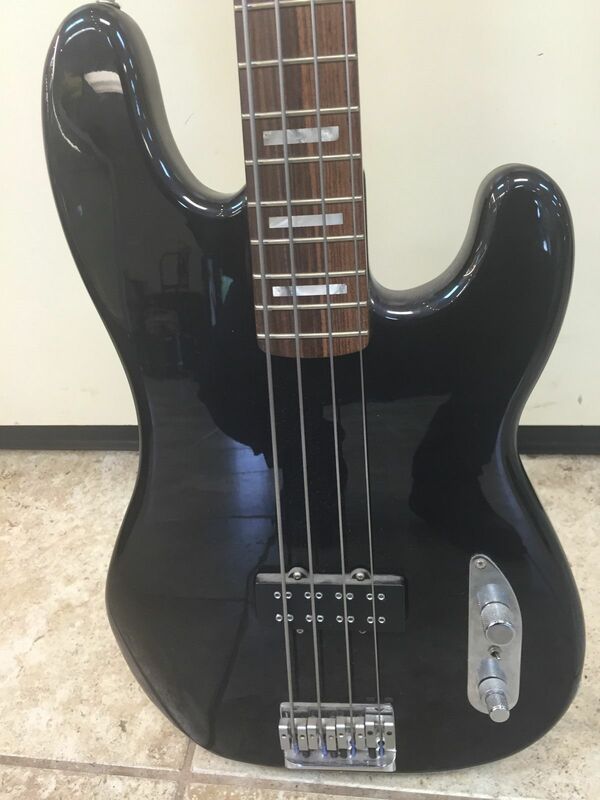 The body and the neck look very much like Fender P-Bass. No pickguard, with control access panel on the back- not typical but examples like Aerodyne etc. The bridge is the only part that does not look like Fender. How can 4 strings and 21 frets be so complicated? I hope it's ok to post that link Ken, they don't carry it anymore and I couldn't find it on Fender's site. If you're looking at a used one, just to reference the price point, I think the street price on those was in the same ballpark as the MIM Deluxe series Precisions, as I believe it was a part of that line. I also don't think they were around for too long or sold too well. They made a Strat version as well. I've got WAY more important stuff to get my knickers in a knot over. TDR1138 wrote: If you're looking at a used one, just to reference the price point, I think the street price on those was in the same ballpark as the MIM Deluxe series Precisions, as I believe it was a part of that line. I also don't think they were around for too long or sold too well. They made a Strat version as well. These are pretty cool basses. It's a nod to the Stingray for sure with the pickup right in the SR sweet spot and an active 2 band pre. I have a similar Ibanez (RB920) that uses a double J pickup in the same spot, connected to a Parallel/series/split 3-way switch. I toy with the idea of adding a Duncan Blackouts 2 band concentric pre to it.